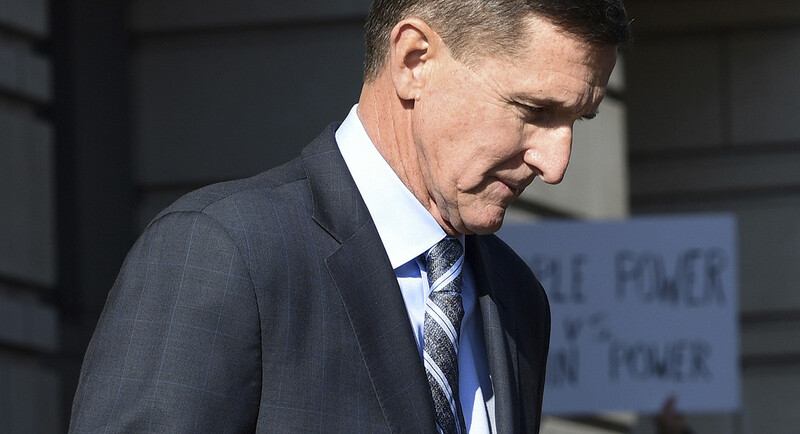 The judge who accepted Michael Flynn’s guilty plea regarding the false statement felony has recused himself from the case and will not be sentencing him. Instead, a Clinton appointee named Judge Emmet Sullivan will be taking over the case. This is so bizarre and completely out of the norm, that I’m sure many people are waiting to hear the reason why. Unfortunately, I don’t think we’re going to hear an explanation. A spokeswoman for the court gave a statement regarding the strange move, but didn’t tell us a whole lot. She did confirm that Judge Rudolph Contreras’ removal from the case was due to him recusing himself, but she also made it known that she can’t disclose why he had to do it. As we all know, Flynn pleaded guilty to lying to the FBI about his interactions with Russian Ambassador Sergey Kislyak during the transition, as well as lying to the Department of Justice regarding his lobbying in Turkey. If you’ll remember, ABC dropped a “bombshell” that stated Flynn admitted that Trump told him to contact the Russians during the election campaign, but were forced to retract that story when it was revealed that Flynn had actually been instructed to contact them during the transition period, which is not unusual. The source of this information also stated that Flynn agreed to testify against President Trump himself, as well as the whole Trump family. While he is cooperating with with Robert Mueller’s investigation, it is currently unconfirmed whether he is actually planning to testify against the President, or what he would even testify about if that case did come about. This whole case has been strange from beginning to end so it’s not surprising that the judge that took Flynn’ plea begged off. However, it would be nice to know what ties he has that forced him to recuse himself. This is an extremely public and high-profile case and it would be nice for everything surrounding it to be as transparent as possible so there isn’t even the appearance of impropriety. I hope the judge himself decides to come out and explain the reason he did this, because as of right now it seems extremely fishy. Perhaps he has Russian ties? Perhaps he has ties to Flynn? Perhaps this case was giving him heartburn and his esophagus couldn’t take it anymore? Who knows? Why do you think the judge recused himself?